David found this link with a summary of the climate situation for Darién & the Choco region. However, the coordinates bring us to western Colombia, deep in the heart of the Choco region, one of the wettest areas on Earth, where rainfall is likely higher than in most areas of Darién. Still, it gives a good overview of the nearby climate, and at certain times, it can feel like there is definitely some carry over! 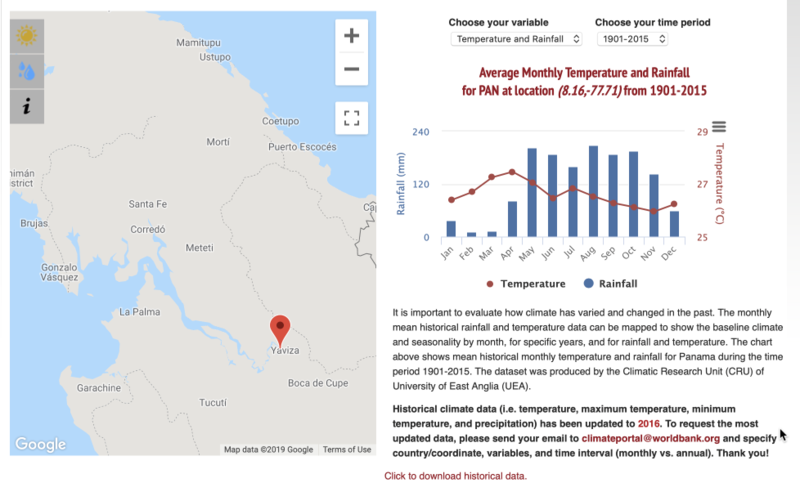 Jim searched further and found a World Bank site for seasonal temperatures and rainfall data for sites throughout Panama. This site has good data summarized by a group from the University of East Anglia in Britain. 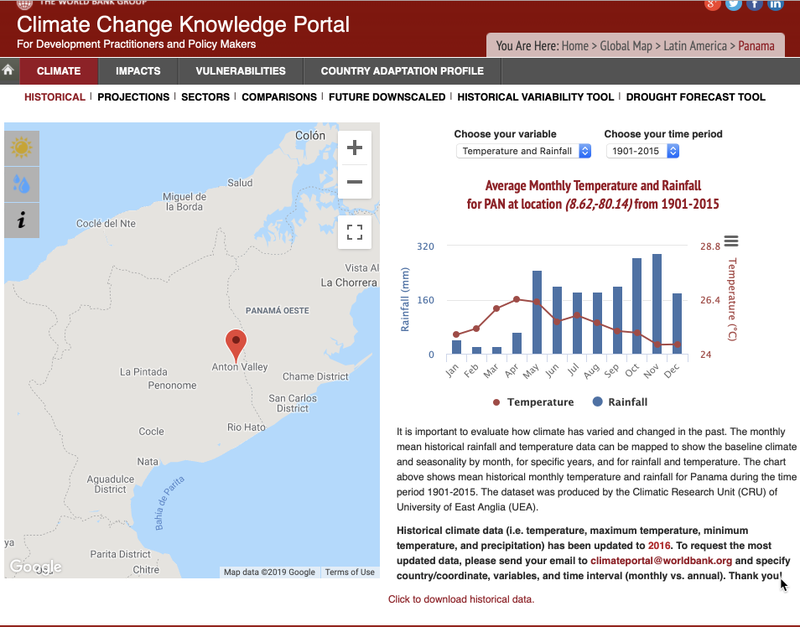 They modelled Panama’s climate using records from 1901 to 2015 – over 100 years of climate data! Overall, Panama has two distinct seasons: the dry season, which starts mid-December and lasts through mid-April, and the rainy (green) season, from mid-April to mid-December. The dry season is, indeed, dry! Rain is very uncommon in the lowlands but the foothills and highlands may receive rain in this season. The rainy season is when we receive our annual rains. It usually starts on pretty strong in late April/May, then levels out to days with nice sunny mornings and early afternoon rains (conveniently, during our siesta time) almost every day, usually clearing up by mid-afternoon, in time for catching the late-afternoon birding activity! For a couple weeks in July, we experience our “San Juan Veranillo” or our “Little Summer of Saint John,” a drier period during the rainy season. Then, in September and especially October and November, we received the most rains of the year. But even then, days typically start with nice sunny mornings and rains/thunderstorms in early afternoon. Occasionally during October and November there may be days when it rains for most of the day, but these days are few. Lastly, expect rousing thunderstorms during Panama’s rainy season – an exhilarating treat and definitely part of being in the rainforest! 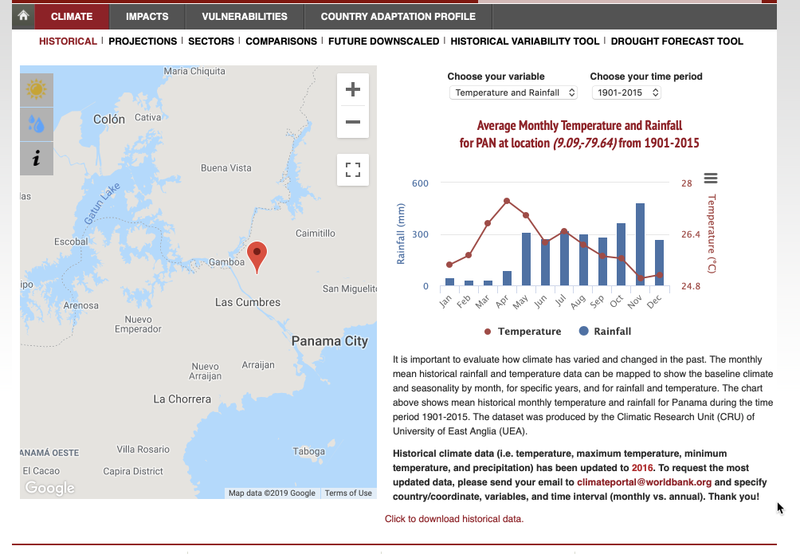 Thanks to Dr. Jim Karr for digging into Panama’s and the Canopy Family lodges’ rainfall; this information is certainly valuable when considering a trip to Panama.